Dennis D. Murrell currently serves as a member of Middleton Reutlinger's management committee. He practices in complex commercial litigation, with a focus on litigation involving intellectual property, restrictive covenants, shareholder disputes, breach of contract, and trade secrets. 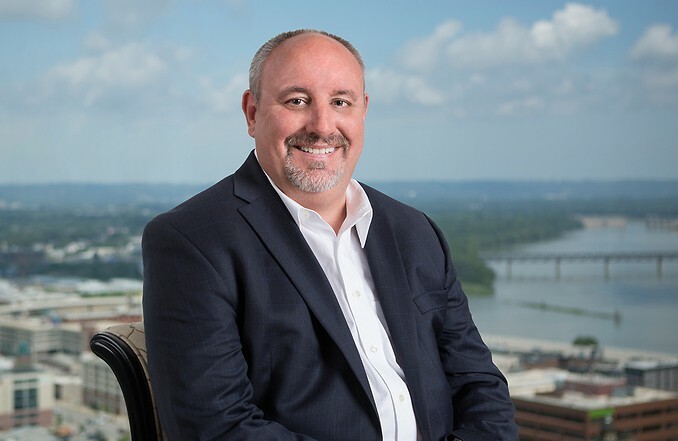 Mr. Murrell has tried a significant number of commercial litigation cases to verdict and has been lead counsel in dozens of preliminary injunction hearings. He is a commercial trial attorney who combines technology and the art of story to explain complicated issues and facts to juries. On behalf of corporate clients, he has appeared in state and federal courts in Kentucky, Indiana, Alabama, Delaware, Illinois, Tennessee, Minnesota, New Jersey, New York, Texas, California, Ohio, and Florida, as well as the Federal Circuit. Mr. Murrell is regularly retained in "bet the company" litigation and other high profile matters, including being retained by the Kentucky Republican Caucus to investigate claims of sexual harassment and discrimination. Lead trial counsel in defending a regional distributor of medical implants and the manufacturer in two separate lawsuits, one in state court in Kentucky and one in federal court in Nashville on claims for breach of contract, trade secret violations and tortious interference brought by a competitive manufacturer. Plaintiff claimed damages in excess of $250,000,000 and was represented by Jones Day. Cases were successfully resolved at the conclusion of a three-week jury trial. Lead trial counsel defending large law firm against $80 million dollar claim of former client for negligence in the handling of commercial litigation. Case was successfully resolved during trial. Lead trial counsel in representing a former business owner against an investor and attorney on claims of fraud and breach of contract. Case was tried to conclusion in bankruptcy court, and the client received a verdict in excess of $1,000,000 in compensatory and $2,000,000 in punitive damages. Lead counsel in an arbitration representing a telecommunications sales agency against a telecommunications company involving claims that the company had failed to properly pay commissions due under an agreement. The arbitration was tried to an award and the client received an award in excess of $4,000,000. The respondent was represented by Jones Day. Lead trial counsel in representing two members of a Limited Liability Company against the other member on claims involving ownership of a business opportunity and claims of fraud and breach of contract. The case was tried successfully to a jury and a verdict was awarded on behalf of our clients, with full compensatory damages, punitive damages of $175,000, and a declaratory judgment issued with a total value in excess of $1,000,000. Lead litigation counsel for Sypris Solutions in the Dana bankruptcy in the Southern District of New York. Lead trial counsel in defending two separate patent infringement cases involving technology for the loading and testing of catalyst in tubular reactors. Both cases were in the Southern District of Texas (Houston). Successfully resolved both actions after receiving an affirmation of summary judgment by the Federal Circuit in the first action and arguing a Markman hearing and obtaining summary judgment in the second action. Lead counsel for a service provider for a manufacturer in an international arbitration regarding breach of a patent license agreement. Case was successfully settled prior to the arbitration hearing. Lead trial counsel representing a national biologics company in a patent infringement action involving plasma derivatives that was successfully resolved through settlement. Mr. Murrell’s published decisions include the application of the Uniform Fraudulent Transfer Act to plasma derivatives, American National Red Cross v. ASD Specialty Healthcare, Inc.; the Federal Circuit standard for declaratory judgment actions in patent infringement litigation, Cat Tech, Inc. v. TubeMaster, Inc., clarification of the repair/reconstruction doctrine in patent law, Bottom Line Management v. Pan Man; the enforcement of restrictive covenants by a corporate successor following an asset purchase, Managed Health Care Assocs. v. Kethan; and personal jurisdiction for out-of-state manufacturers in products liability cases, Leja v. Schmidt Mfg., Inc. and Sypris Technologies, Inc.